Google Duo is the search giant’s app for video and voice calls, and today it has launched a feature to let you leave contacts messages when they don’t answer. Once you’ve recorded your message, you can then send it to your contact, who will see it within the Duo app. To view messages received within Duo, just tap on a contact’s icon. 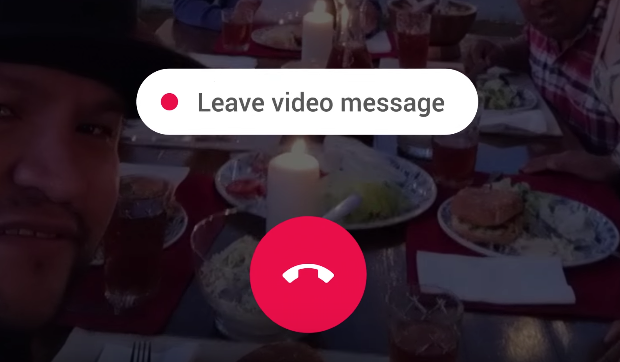 These video messages automatically delete themselves a day after you watch them, but you also have the option to save favourites to your phone. Google says video messages are rolling out today on iOS and Android, and will go live worldwide “in the next several days.” We haven’t been able to test this out because we don’t know anybody that uses Google Duo. But for those who do, the app offers pretty good audio and video quality, according to App Store reviews. Click here to download Google Duo for iOS in the App Store.